VFC is on a mission. Honoring veterans. serving patients. saving lives. VFC'S VISION is a world where the suffering of those who serve our country can be mitigated by treatment that does not further damage their bodies, minds and lives, or cause the death of more than 50 Veterans a day from suicide and accidental overdose. 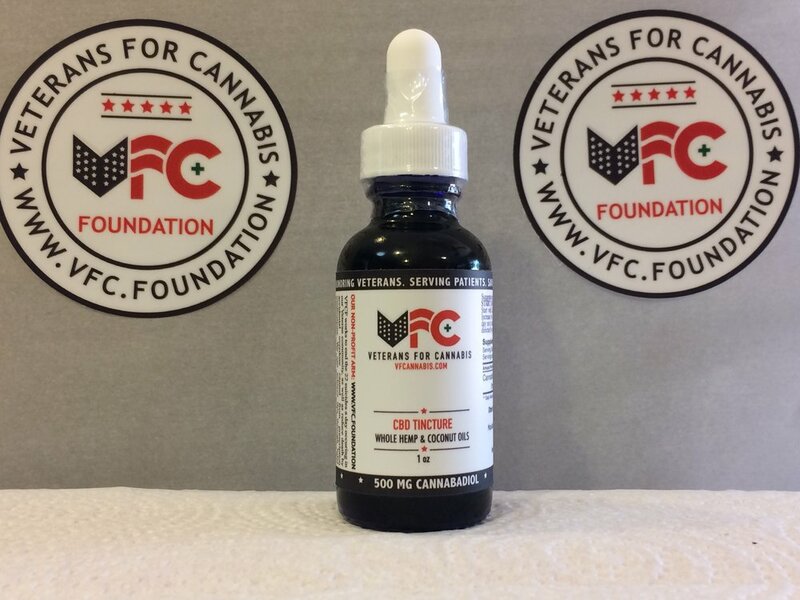 VFC's MISSION is to reduce deaths associated with accidental overdose from prescription pain medication and overall suffering associated with PTSD and chronic pain in Veterans and all patients through the distribution of highest quality DNA-sequenced CBD oil. First and foremost, we are Educators - helping physicians, patients, and lawmakers discuss cannabis usage openly, honestly, and informatively. We also provide access to the highest quality DNA sequenced CBD oil so that the suffering of those who serve our country may be lessened by treatment that does not further damage their minds, bodies, and lives. THE GROWER: POTENT-LTD A team of scientists, farmers, artists and hempsters sharing a passion to perfect hemp cultivation using high-tech agriculture technology and care for nature. Owned by Veterans. DNA-SEQUENCE LAB: MEDICINAL GENOMICS A molecular information company that applies state-of-the-art life science technology to cannabis plant genetics. MGC was the first company to sequence the cannabis genome.